*August 26, 2014 entry from Mga Pahina ni Msbolin, now posted at Momi Berlin. We were supposed to watch “Teenage Mutant Ninja Turtles” but the flick was pulled out last week from SM Novaliches cinema. We settled for “Planes: Fire and Rescue” instead. At first, I found the movie boring, almost comparing it to “Cars,” the computer-animated comedy adventure sports film. Well, “Planes” was “Cars'” spin-off thus explain the resemblance. As the story developed and saw the kids’ glued on the movie screen, I then affirmed husband’s comment. 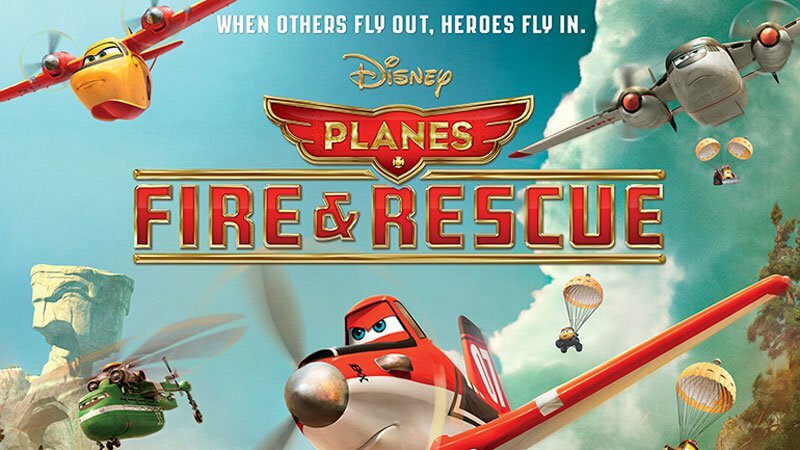 “Planes: Fire and Rescue” was a beautiful watch after all. It had a straightforward story — successful racer Dusty got a damaged gearbox. Out of frustration, he went on a rebellious flight testing his limits that only caused a fire in his community. Government inspector recommended the town’s airport be closed due to inadequate firefighters. Realizing his recklessness, Dusty volunteered to be the other firefighting personnel. He underwent training to be a certified firefighter. Dusty’s training proved to be difficult. But because the flick is a Disney, the ending should be uplifting. The main character, toward the end of the flick, realized that there was more than to fame and winning. “Planes: Fire and Rescue,” though a kiddie flick, shared some self-actualization lessons that provided a nice learning opportunity for both the young and old. And when I asked my boys what they have learned from the movie, they shared that being a team player counts the most. Thinking of others, too, is vital. Sometimes, parents need not teach everything to their kids. Movies and books are indeed great aids to teach valuable life lessons to children, and even to us adults as well.